Kaitlyn Tossie received her BA in Theatre from Ottawa University and her MS in Theatre Studies from Illinois State University (ISU). While attending ISU, Kaitlyn also received a Women’s and Gender Studies Graduate Certificate. 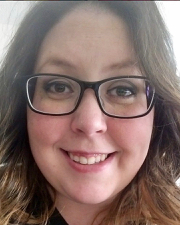 Kaitlyn also served as an adjunct technical director and instructor at Ottawa University before completing her MS. Her areas of interest are theatre in times of conflict and duress, intersections between theatre and trauma, adaptations of Classic Greek plays, and feminist theatre.